This week, Fighting Insider is featuring another UFC Hall of Fame inductee -- Dan "The Beast" Severn. 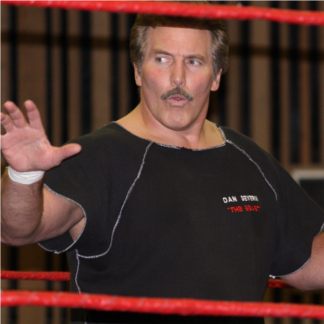 Born as Daniel DeWayne Severn on June 8, 1958, Dan Severn has fought for many mixed martial arts and professional wrestling promotions, like King of the Cage, PRIDE FC, Cage Rage, WEC, RINGS, World Wrestling Federation and TNA Wrestling. The former UFC Superfight Champion holds a professional MMA record of 97-16-7. During his professional wrestling career, Dan Severn is a two-time world champion, having won the NWA World Heavyweight Championship twice. He is also one of the few MMA fighters that surpassed the 100 fight mark. In addition to this, he was also featured as a PS3 exclusive fighter for UFC Undisputed 2010, even though he has not competed in the UFC for more than nine years. Dan Severn also travels world-wide to give seminars in MMA, grappling, and amateur wrestling. Furthermore, he is keen on getting his Law Enforcement Training developed into more police departments, correction facilities, and the military. Dan Severn started competing in the Ultimate Fighting Championships in 1994. He was the first world-class wrestler to enter the UFC, outboxing Don Frye in UFC 8 and 9. He also defeated Mark Coleman in UFC 10 and 11. However, some people regards his UFC 5: Return of the Beast match with Oleg Taktarov as his best fight ever. After winning the UFC 5 by way of TKO, Dan Severn was matched up with Ken Shamrock at UFC 6 to determine the first UFC Superfight Champion. Unfortunately, he was defeated via submission.